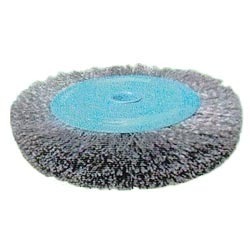 Our product range includes a wide range of circular brush and nylon circular brush. In order to fulfill the changing demands of our valuable customers, we have been engaged in offering a quality range of Circular Brushes. The offered brushes are designed and developed under the strict supervision of our professionals following international quality standards. Keeping in mind the our clients’ demands, we offer these brushes in variegated standard sizes and specifications. We offer our circular brushes to the customers at market-leading prices. 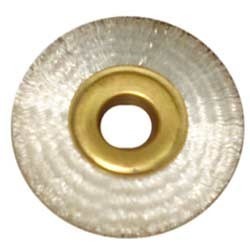 We are engaged in offering an unique assortment of Circular Wire Brushes that are used for cleaning, de-rusting, debarring or processing welded seams and removing hard scale and paint. These brushes are easily available at most affordable prices. These Nylon Circular Brushes are manufactured by our experts, which consider quality standards while fabricating it. Looking for Circular Wire Brushes ?